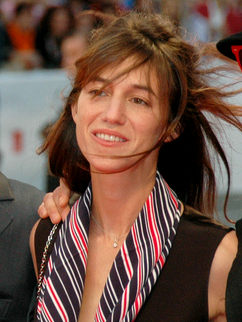 Charlotte Gainsbourg is an Anglo-French singer and movie actress. At the age of fifteen she was on an album with her father. More than twenty years later she released albums as an adult. Gainsbourg has also been in many movies. She has received both a César Award and the Best Actress Award at the Cannes Film Festival. Charlotte Gainsbourg Facts for Kids. Kiddle Encyclopedia.